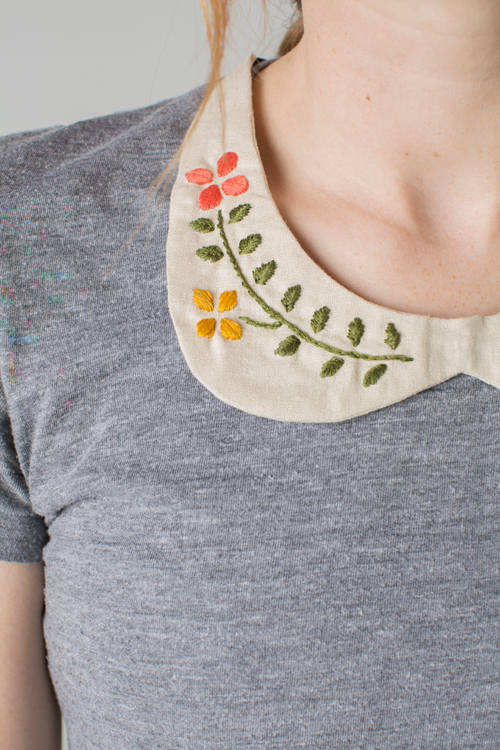 When I was a little girl my grandmother taught me to embroider. I embroidered everything: pillows with pictures of tennis racquets and musical recorders (my hobbies at the time), flowers (of course) on sewn drawstring bags. 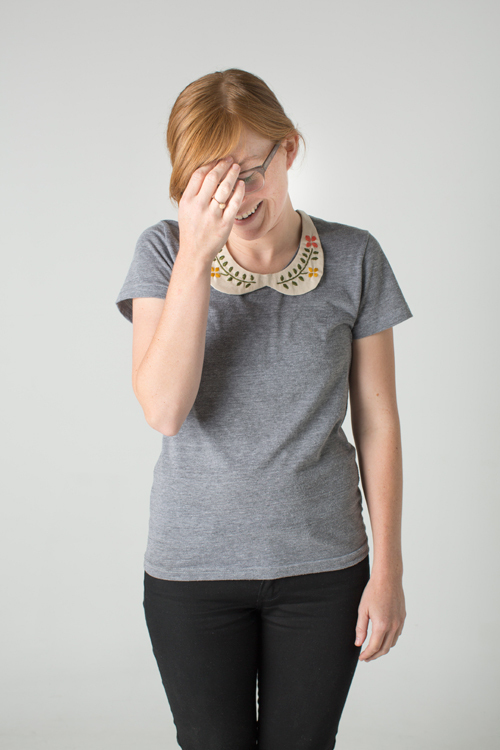 I even remember turning in a math class assignment with embroidered pansies on a paper plate. Who knows why and how that was an acceptable math assignment…. It’s been awhile since I’ve placed a needle to form a flower and I’ve lost many of the techniques so when I had the opportunity to take some classes on Craftsy I was excited to re-learn the process. 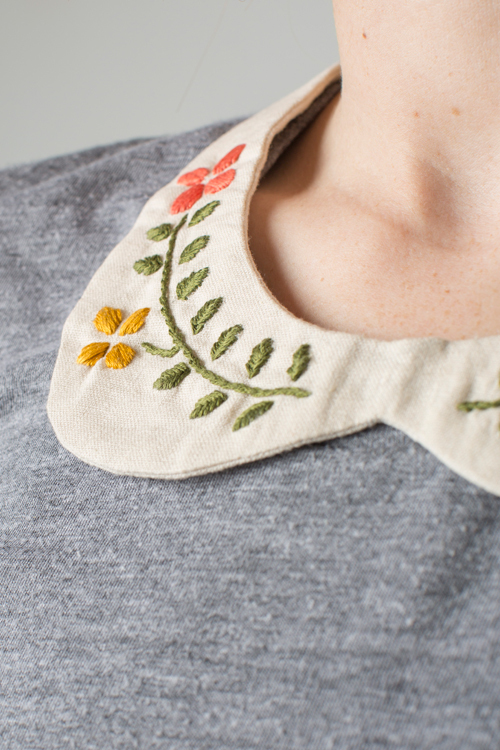 Together with my intern Kelly Curtis, I took Design it, Stitch it: HandEmbroidery with Jessica Marquez and today I’m giving away an entry to this class (enter here). Jessica’s class was great because she clearly went over 25 rather new-to-me stitches showing each step of the way. Kelly mentioned that the French knot had always escaped her but she is now confident thanks to Jessica’s clear instruction. Score! And what’s great about Craftsy is that you can go at your own pace, bookmark key parts of the videos, and get a full refund if you’re not satisfied. Score again! 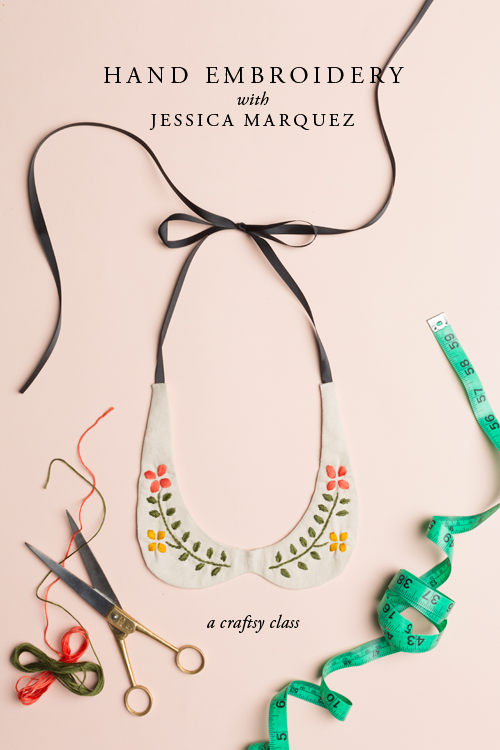 Kelly and I worked on creating a project based on the class and we came up with this floral Peter Pan collar that would be adorable to add to a dress or blouse. Don’t you think?! Continue reading below to create one for yourself with the full tutorial and free template download. To enter the Craftsy class giveaway, click on this link and register with your email address or Facebook login info. The giveaway will end one week from today. Good luck!